The Kippax Fair owners plan to expand on to the Holt playing fields. File photo. 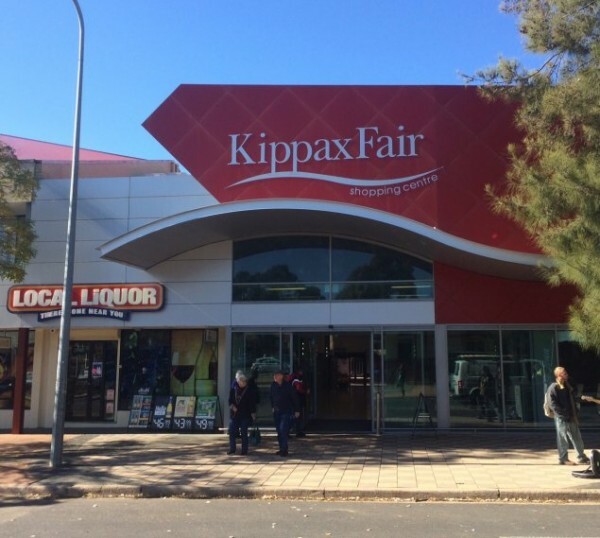 The loss of a great swathe of green space to feed the expansion of the Kippax Fair shopping centre has left a shadow over the Kippax Group Centre Master Plan released today. After four years of community consultation, the final Master Plan paves the way for an upgrade of the centre that includes mixed use and residential development up to six storeys, better parking, green infrastructure such as trees and a pocket park, improved public spaces and bicycle and pedestrian connections, but allowing the Kippax Fair owners to expand across 16,000 square metres of the Holt playing fields has left the community with a bitter taste in its mouth. Belconnen Community Council chair Glen Hyde said that with 30,000 people moving into West Belconnen and Ginninderry over the next few decades, a bigger facility that met everyone’s needs was welcome but not if green space was removed and not replaced elsewhere. Kippax Fair had conducted its own community consultation on its proposal which it said found support for the expansion plan, and a subsequent Government engagement with a community panel found likewise but Mr Hyde said the Government finding relied on one online poll and some minor suggestions that did not reflect the entirety of input from the panel. But at present all the Government is suggesting is the upgrading of Higgins Oval which will still leave the area with a deficit of green space. “Once you lose it you never get it back,” Mr Hyde said. The council had suggested alternatives to Kippax Fair including going up instead of spreading out, underground parking or expanding west on to car parks but the owners had said those options were too expensive, particularly underground car parks. “There’s a range of participative activities that will have to be located away from that area,” Mr Hyde said. Community activist Vanessa Jones said smart architecture could deliver the bigger and better facility the community wanted without having to concrete over precious green space. But the government seemed more intent on selling off public land and boosting rates revenue. “I think it’s about good architecture and preserving the green space and getting our best creative thinkers to design excellent business resources using the precious land we have,” she said. “The challenge in all of Canberra now is preserving what we love about Canberra, that’s the green space and the bush aspect, and then getting what we can, especially in the neglected areas like West Belconnen, getting the best facilities and private businesses that the growing population needs. Mr Hyde said the Master Plan and the supporting draft variation to the Territory Plan (DV361) allowed the Kippax Fair owners to proceed with a development application that would give the community more opportunities to argue its case. The playing fields will have to be rezoned to allow development. To view the master plan go here. We’ve been waiting for decades to bring this condemned area back from the brink of filth. Everyone I know and have spoken to will be pushing for this upgrade. Kippax is desperate and dire. This must happen for future growth of the area. Kippax Fair is awful, one of the least aesthetic and functional shopping centres I’ve ever seen. If this upgrade can bring it into the 21st century then it will be worthwhile. As for the loss of one of the playing fields it will be compensated for in the new Ginninderry development. It seems absurd to have a new housing development housing thousands without a major shopping centre nearby. Makes no sense to use more land, big enough footprint for the shops as it is. Less ovals, more rates ? I agree that they could build up rather than out and perhaps excavating down too, such a shame to lose that lovely green space that has adequate parking for events there. By all means upgrade Higgins oval, but where will people attending Higgins oval park? I'm totally disgusted that Kippax has to fall into the hands of the wealthy and powerful. As a Latham resident, we need both an improved and enlarged shopping precinct and sufficient recreational space for the quickly growing and young population. I have no problem with Kippax Fair expanding into the sports field if additional green space is provided elsewhere, closer to the shopping centre than Higgins oval. What about the area along Moyes Crescent between Flack and Starke streets behind the Raiders Club? Also, upgrading public amenity should be delivered before the development so there’s confidence it will actually be delivered. If the development lives up to the promises than I think it can be a good thing for the area. I’m just concerned that it ends up like Erindale where the government said they would be replacing car parking, green space and an old shop front with high quality restaurants, boutique designer shops, prestige housing and new community services. Unfortunately the Erindale developements didn’t deliver anything remotely close to the promises made. Michael Doherty it was Barr himself that said that Canberrans number one priority was to retain Green Space- so no one is listening! Or heeding.